The Unique Product Production, Product Development and Sample Room Production Department. Our highly trained instructors and installation managers with extensive theoretical and practical knowledge, experience and competencies. Installation teams with installers and assistants who participate in the production stage of the project and thus know the technical logic behind the products. 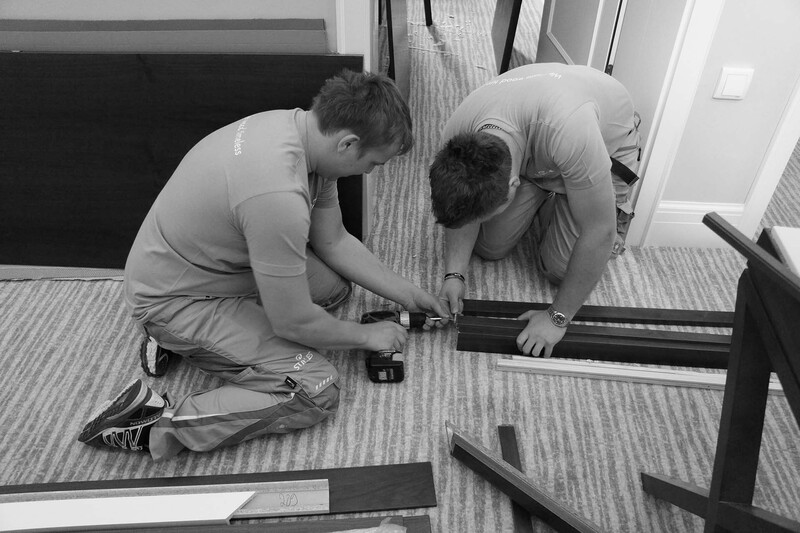 Extended installation teams with subcontractors that allow us to carry out complex installations in larger buildings. We use high-performance hand tools. Our teams are equipped with all the necessary personal protective equipment to ensure their safety at work and their recognisability. Our team of architects and designers transposes the investors’ wishes into projects through technical and creative solutions that create aesthetically attractive and user-friendly ambiences. supervision of the preparation of construction or detailed plans. The final design is the response to the client’s wishes and objectives, the building’s architecture and occasionally to the specific local features as well. An important aspect of the preliminary design is the specifications with descriptions of details, materials and special features, as well as the floor plan printouts with the layout of items. These serve as an aid for us to verify the quantities and the proportions between the individual items. The preparation of typical projections (wall elevations) facilitates coordination with the contractors for other works, such as electrical and IT wiring, wallpaper installation, decorative linen and the like. 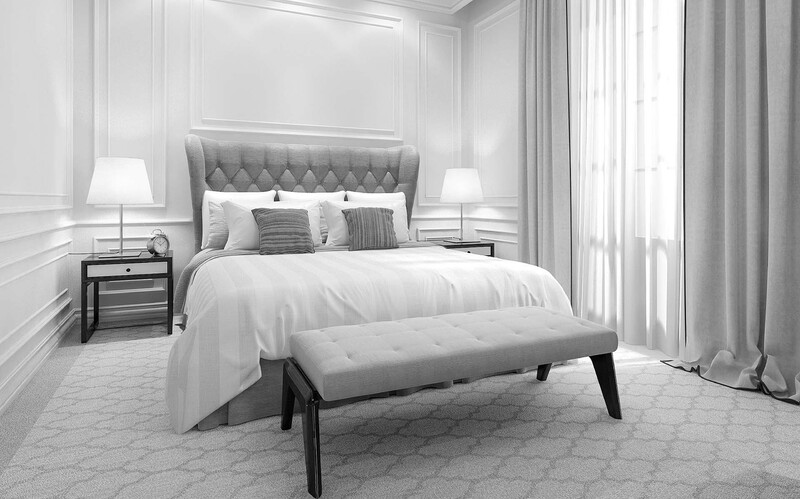 When exacting interiors are involved, we offer the preparation of three-dimensional visualisations so that clients can get a better idea of the space, which in turn makes their decision much easier. Upon reviewing the design and plans, we are able to bring our vast experience to bear and suggest solutions that create savings for the client. 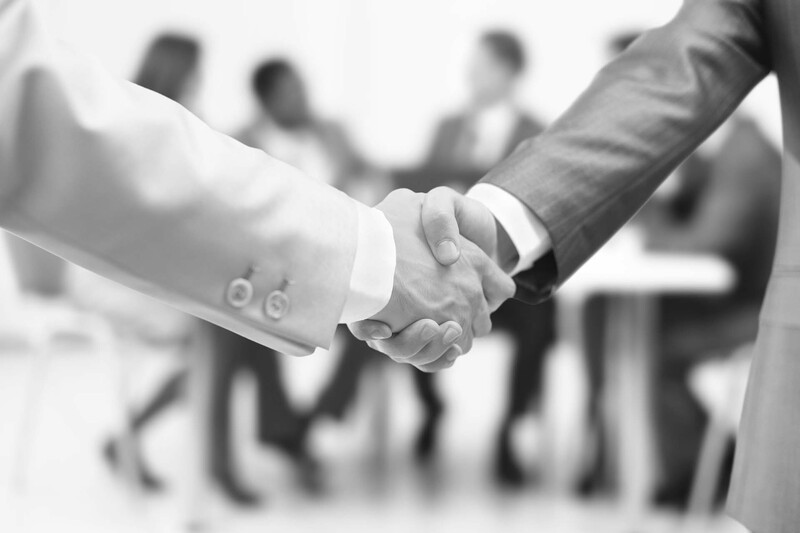 We consider our client’s options and propose solutions that allow savings. Our approach in this regard is such that it in no way affects the design or the quality. We look for savings in more affordable details, alternative technological processes and alternative materials. We always prepare our working plans on the basis of the building plans and the actual situation, which reduces complications and enables us to install all the agreed elements without having to make any compromises. At the investor’s request, we can produce and set up a sample room that serves as a basis for any corrections and the precise construction of further rooms. A project implementation schedule is a vital component of every hotel interior design project. They serve as the basis for the client’s decisions on the implementation dynamics. Meeting the planned project completion deadline is of the utmost importance to enable the timely completion of further activities required to ensure the full functionality of the hotel. A project schedule that is continuously coordinated between all the parties to the project is an essential tool that enables the proper management of project implementation. other information (e.g. for obtaining permits and certificates). 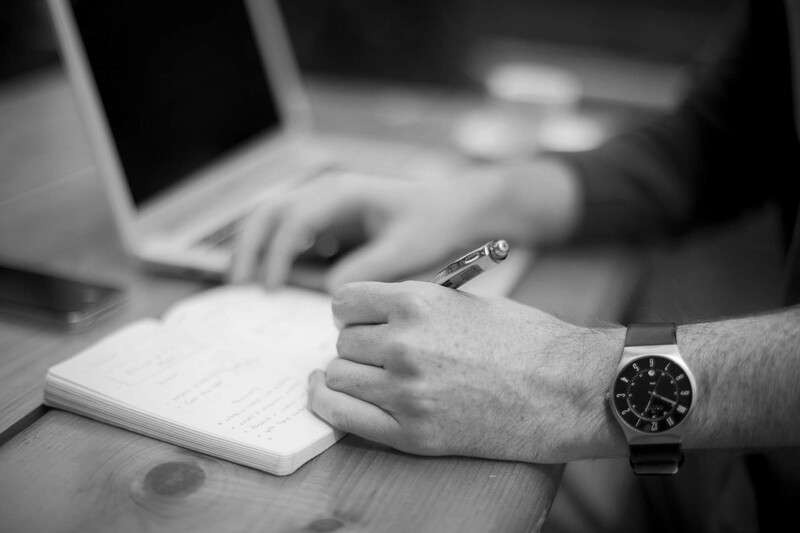 The schedule preparation process includes the identification of any potential risks that could cause delays. Critical control points are set out in the schedule to enable the comprehensive monitoring of the progress of the planned investment and provide a basis for determining a set of measures to minimise the identified risks or compensate for any delays. Since the final completion deadline is fixed and cannot be changed to ensure the proper completion of the project, the schedule is continuously reviewed and adapted to other processes involved in the implementation of the project in the light of new information. The project manager ensures the continuous monitoring and coordination of all the processes involved in the implementation of the project in collaboration with key staff and with consideration of the key factors in the implementation of the project, such as the preparation of the technical documentation, purchasing, production, logistics and installation. The preparation of proposals is the most complex procedure in the project development stage. The proposal preparation process is headed by the design engineer or project manager, assisted by the technical director, technologists, designers and the Logistics and Installation Departments. The interior design plan. If the client provides an interior design plan, our proposal is prepared on the basis of its contents. If the client does not have this document, it can be prepared by our internal architects and designers. A bill of quantities (BoQ) based on the interior design plan. If a BoQ is included with the interior design plan, the proposal is prepared on its basis after it has been checked against the rest of the technical documentation to ensure that it includes all the necessary items. If no BoQ is available, one is prepared by our engineers according to the wishes and needs of the client to ensure that it includes everything the client needs. We try to present as many details in both textual and graphical form to make sure the client understands our approach and the prices listed for individual items and, above all, that they know what they are getting for their money. A very important element in the preparation of proposals and further procedures is the review of the design and plans and formulating suggestions that will help the client save money. We consider the client’s options and propose solutions that do not affect the design or quality. We look for savings in more affordable details, alternative technological processes and alternative materials. coordination with electrical works, plumbing works and mechanical installations. – Plans for individual pieces of furniture with detailed production documentation. – Spatial matrices – documents defining the spatial layouts. In addition to the preparation of technical documentation and the development and production of products, we also provide logistical and installation services. We take the full range of costs into consideration in calculating the prices for transport and installation, from the transport and accommodation of installers, to labour, material transport and other logistical costs. The proposal must include only what the client actually wants. We take their needs into consideration, bearing in mind that what they actually need is not necessarily what they want, and vice versa. The proposal must be formulated so that the client can easily see the benefits and functionalities it provides. We know that clients always consider the benefits of a product. If they believe a product or solution would not provide any benefits, they will certainly not buy it. We add value to our products to reduce the risk associated with purchasing or choosing them. This is done by providing additional benefits, free samples, prototypes, price comparisons, etc. We respond to requests for proposals immediately. We set a proposal submission deadline and meet it without fail. An interior design plan. If none is provided, the basic technical documentation (floor plans and wall elevations) can be prepared for the client. 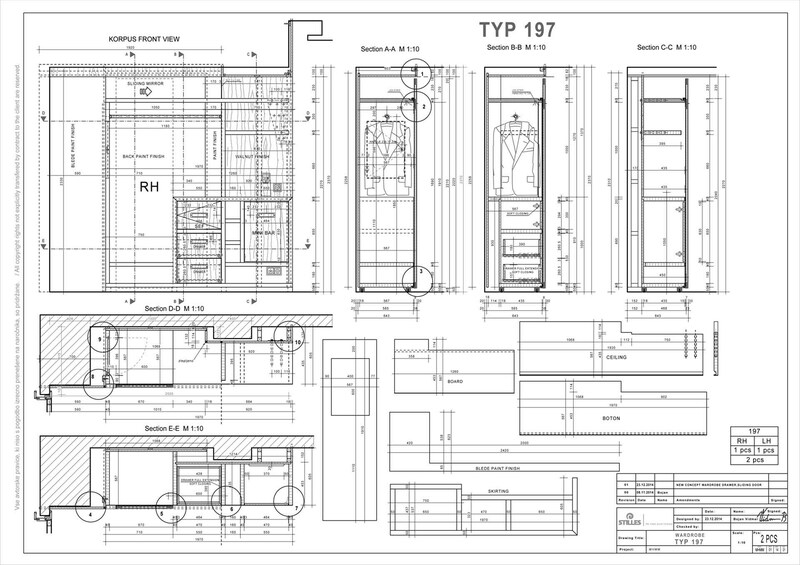 The consistency of the interior design plan with the building plans (architectural plans, installation plans). Several designers participate in the preparation of the working documentation for a project. A responsible administrator is selected who provides all the necessary support throughout all stages of the project. The working documentation is only prepared after all the required measurements have been taken. This ensures the accurate production of products and their smooth and correct installation. Measurements are taken using laser measuring devices; in rooms with particularly complex shapes, measurements are taken using a 3D laser measuring device. Measurement data is transmitted directly to a pre-prepared Excel spreadsheet via Bluetooth. If the building is still under construction and it is not possible to take all the measurements, a plan (a floor plan with all the construction measurements relevant to the installation of interior elements) is prepared for the construction contractors. The designer draws up a working plan using MegaCad with the MegaTischler upgrade for the preparation of specification documents. The plan comprises front, top and side views of the products and all the required details. If the elements of the product are standardised, bills of materials are prepared if necessary when certain features of elements cannot be shown by drawing details or cross-sections (mainly for dimensioning drilled holes, profiles, bends, etc.). In the plan preparation process, complex details and production processes are discussed with the project manager, the technologists and the installation manager and corrected as necessary. Once prepared, the technical documentation is submitted for approval by the client’s representatives (the responsible architect or designer). Every modification is noted in the header of the plan, with an indication of the type, date and author of the modification. Each modified plan is given a new index number. Once the construction plans have been approved by the client, the purchasing and production process can begin. The material specification documents (lists of raw materials and veneer elements, material issue slip, etc.) are prepared. The documentation serves as the basis for the purchasing and the production process. Every plan is labelled with the project code, the designation of the room in the building, the plan number and the modification index number. 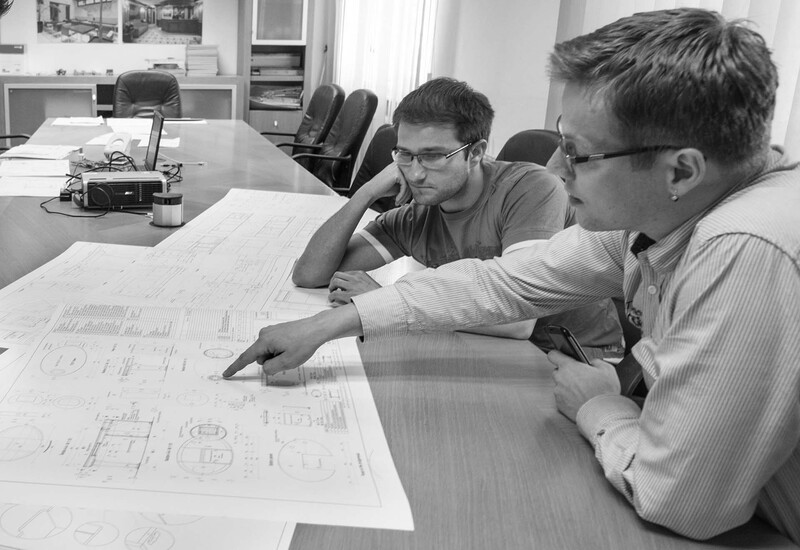 A central record of all plans is kept throughout all stages of design and project implementation. All working plans are stored on a shared network computer, where they can be accessed by all the users participating in the production process, logistics, installation and project management. All the documents are also delivered to the production sector in printed form. The documentation is distributed to the heads of the individual departments by the head of production. 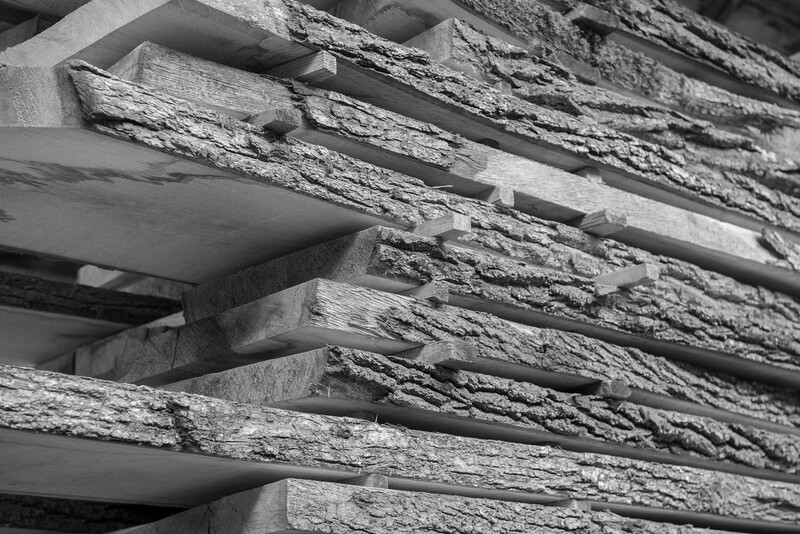 Stilles covers all the key stages of production for solid wood as well as veneered and upholstered furniture. We choose our technologies carefully to keep up with the global furniture production trends and ensure top quality and flexibility. Every investment is planned with great care to ensure that it provides the optimal technical solutions, with a special emphasis on environmental friendliness and energy efficiency. Our existing key technical equipment is numerically controlled. All the machining processes at the Machining Department are carried out using 3- or 5- axis CNC machines. Products are sanded using state-of-the-art equipment. The sanding process determines the quality of the finish (paint or lacquer) and thus has a key impact on the quality of the final product. Our main advantage lies in our employees and their specialised skills and knowledge. 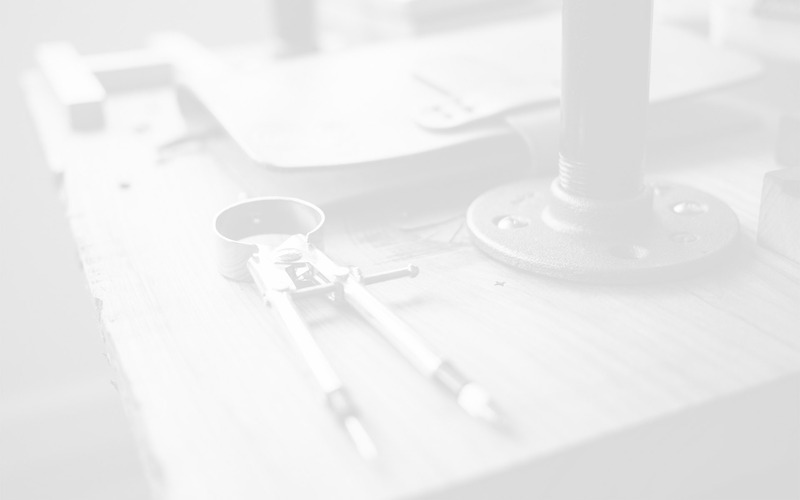 We employ a number of craftsmen who are highly skilled in carving, gilding, silvering, veneer bonding, marquetry and highly complex CNC machining and surface finishing. Production planning is carried out on an annual, monthly and weekly basis. Monthly plans serve as a basis for the work of all of the company’s departments to ensure the timely preparation of all the required materials and technical documents and the coordination of human resources, logistical capacities and financial resources. The weekly plans are as goal-oriented as possible. Products are placed in production according to our clients’ requirements to ensure that the dispatch deadline is met. Our production process is organised according to the principles of lean production, which means that each product moves between departments as quickly as possible and there are no unnecessary loops in the production process. We always ensure that all technical principles are adhered to and all technical processes are carried out properly to avoid any customer complaints. Apart from the quality of our products, meeting the delivery deadlines is our top priority. We always set an exact dispatch deadline as our goal depending on the client’s wishes and plan all other aspects of production around it. Our technical and production capacities allow us to simultaneously work on two projects with up to 150 rooms per project. The production process for a project with up to 150 rooms can be completed within 30 to 45 calendar days from the final determination of all the technical details and the approval of the working plans. Every company is successful if it can ensure the transfer of knowledge and experience between generations. Being well aware of that fact, we collaborate closely with the woodworking school in Sevnica. The school’s students carry out their practical training at our company under the professional guidance of our experts and professional mentors. We know that we are training our future colleagues, so we try to identify their talents and guide them carefully to ensure that they develop into outstanding future employees. Through our know-how, experience and seventy-year tradition and by keeping up with the latest trends in our field and actively collaborating with our suppliers and clients, we have created the easily recognisable Stilles product and installation standard. Top-quality products that are properly marked for easy installation. 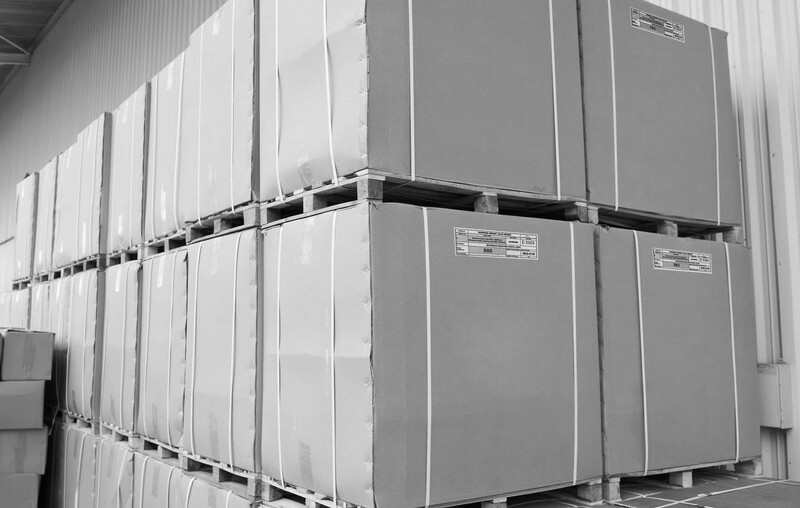 The complete protection of products during transport. Professional, precise installation and outstanding details. The adaptability of the team to the installation conditions, supervision requirements and the investor’s wishes. Our standard provides the basic guidelines that must be followed by all our subcontractors. We expect our installers to always perform top-quality work, to maintain an excellent level of theoretical and practical knowledge, to be resourceful and work as a team, to constantly exchange information and to show unconditional concern for the safety of both themselves and others, as well as of the property at the site. The precise management of installation work. The proper coordination of teams and supervision over the installation work. The completion of work within the set deadlines. Proper and precise communication with staff on the site and effective coordination with the technical supervisors and investor’s representatives. Time planning gives us an overview of the status of the installation work and the flexibility we need to adapt to the requirements and challenges at the site. We ensure smooth installation by coordinating with other contractors on the site, building managers, supervisors and the owners on a daily basis. Depending on the client’s wishes, our installation managers can communicate in English, German, Russian or Serbo-Croatian. within the company: to the Technical Documentation Preparation, Production and Logistics Departments and to the management board. Detailed product construction plans, solutions for details and technical instructions are an integral part of every installation. All the work performed is recorded in the installation logs kept by every team on every site. 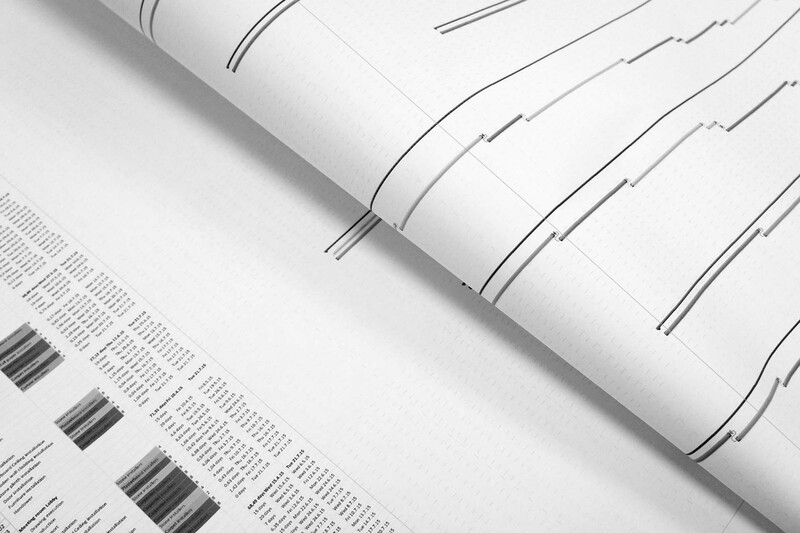 Installation logs ensure full traceability and quality control for installations, products and teams. When the project is completed, the installed products are inspected together with the supervisors and the owner and a handover report is prepared. All the required certificates are enclosed with the handover report. possession of all the documents required to perform their work. Our team of architects and designers transposes the investors’ wishes into projects through technical and creative solutions that create aesthetically attractive and user-friendly ambience. We try to present as many details as possible in both textual and graphical form to make certain that the client understands our approach and the prices listed for individual items and, above all, that they know what they are getting for their money. We always prepare our shop drawings on the basis of the building plans and the actual situation, which reduces complications and enables us to install all the agreed elements without having to make any compromises. The project schedule is continuously coordinated between all the parties to the project is an essential tool that enables the proper management of project implementation. Once the plans have been approved, production can be started. Stilles covers all the key stages of production for solid wood, as well as veneered and upholstered furniture. Our proposal includes a logistical plan that sets out all the key costs. In addition to our own installation team and assistants who participate in the production stage of the project and are thus familiar with the technical logic behind the products, we also collaborate with an extended team of subcontractors, which enables us to carry out complex installations in large buildings. Once the project is completed, the client and the project manager inspect the supplied goods and revise the final invoice to reflect any deviations from the contract in terms of quantity or quality. A report is drawn up for any deviations in quality, which also sets out the deadline for the free remedy of the deficiencies. Once the handover report is approved by both parties, the project is considered completed. Mission and values	Our mission is to create high-quality and well-designed furniture and furnishings tailored to our clients’ wishes by taking a comprehensive approach and developing solutions on an individual basis. About the owners	The future of Stilles has been in the hands of the Polovič family since 2010, when they gained a 100% share in the company through their own company, AFP d.o.o., Dobova. Memberships	We are a member of the Association of Employers of Slovenia and the Chamber of Commerce and Industry of Slovenia. Stilles’s beginnings date back to 1945, when a small group of carpenters led by Jože Durm joined forces in Sevnica. To begin with, they only restored old furniture, but later began to make furniture to order as well. 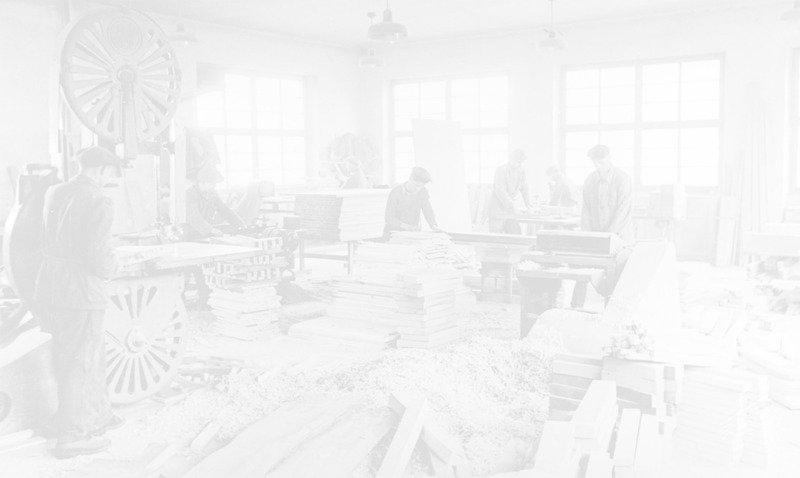 The increased volume of orders led to the establishment of the Sevnica Carpenters’ Production Cooperative in 1947. Over the years, the company participated in the furnishing of a number of commercial and government buildings, official residences and hotels and gained a reputation as the leading manufacturer of furniture in Yugoslavia. Increasing demand for period furniture led to the idea of the company developing its own lines of period furniture. In 1970, the company was renamed Stilles – for its stylish period furniture and furnishings. Today, Stilles is a market-oriented company that exports 95% of its products to the global markets on average. Engineering projects comprise 90% of the company’s sales structure, while the rest is made up by sales of its own brand of furniture. Stilles offers high-quality furniture from its own period furniture collections, as well as modern furniture made to order. Our mission is to create high-quality and well-designed furniture and furnishings tailored to our clients’ wishes by taking a comprehensive approach and developing solutions on an individual basis. The development of our own products and an emphasis on hand work have been the essence of our approach from the very beginning. Our constant commitment to offering only the best materials, creative designs, and a high quality and a wide selection of fabrics and accessories guarantees the excellence of our products. 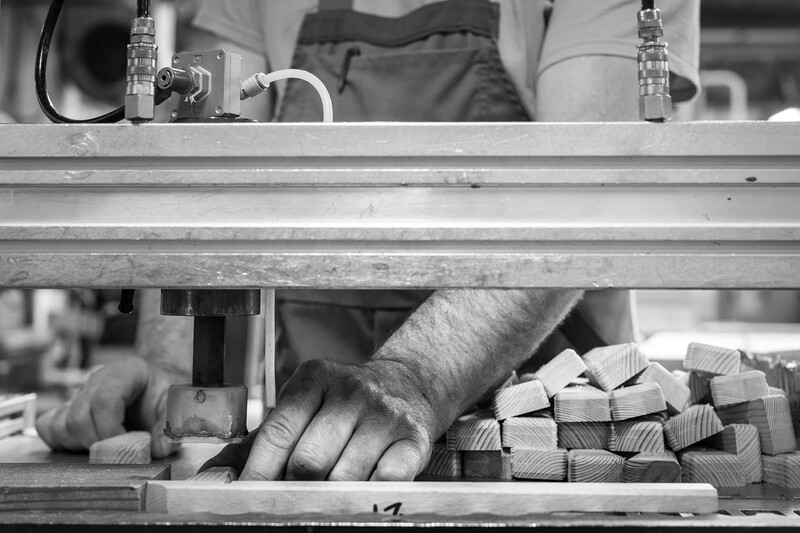 Through all this, we are able to meet our primary mission – MAKING WOOD TIMELESS. The future of Stilles has been in the hands of the Polovič family since 2010, when they gained a 100% share in the company through their own company, AFP d.o.o., Dobova. The successful family tradition of entrepreneurship that was started in 1968 by Franc Polovič, Sr, and his son, Franc, Jr, has been continued by Aleksander Polovič as a representative of the third generation. Today, AFP is a well-established trading company whose principal activity is the sale of textiles and sporting goods. The family has always had an appreciation for manufacturing companies. Being forest owners, they have a special relationship with wood as a natural resource. All of this, combined with their respect for Stilles’s tradition, led them to the decision to invest in the company. In collaboration with the company’s management, they set out a long-term development and business strategy for the company. The company’s long tradition and the know-how and experience of its employees give them complete faith in Stilles’s long-term potential. We are a member of the Association of Employers of Slovenia and the Chamber of Commerce and Industry of Slovenia.